Farmgrass Fest gathers a bunch of bluegrass lovers at a farm close to town to eat, sing, hoot and holler while enjoying a terrific lineup of bands and great food. 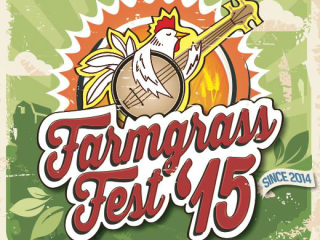 Farmgrass Fest is a 501c3 nonprofit dedicated to helping local farmers with medical emergencies. $20 in advance; $25 at the door; Admission is free for children under 12.